It is no secret that I love sharing mandalas on my Instagram (@doralogy #shamelessselfpromo) and recently, I have been asked by a few of my lovelies as to how I create mandalas on my iPad. 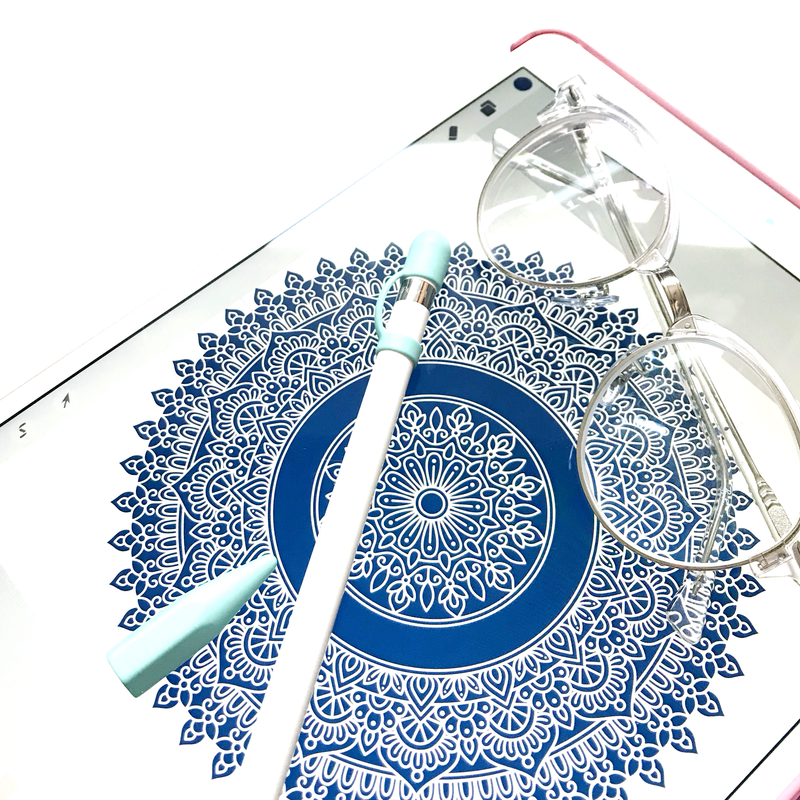 So in this post, I am sharing my favourite ways to draw mandalas on iOS devices! 👎 does not have any streamlining/smoothing tool for shaky hands like mine! 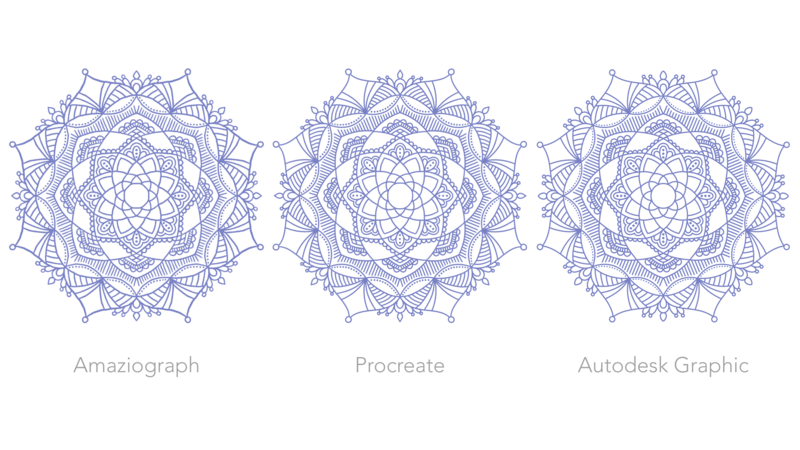 I only ever use Amaziograph for quick drafts as the end results do not look as polished as I’d like them to be, yet I consider it an essential (albeit a bit basic) tool for brainstorming/designing mandalas. It is clear why Procreate is an extremely popular creative platform – its user-friendly interface, the extensive features, and let’s not forget about all the custom brushes! This had been my go-to method for creating mandalas for about 2 years, and whilst I mainly use Autodesk Graphic for outlining my mandalas these days, nothing beats Procreate when it comes to lettering, sketching or doodling with any tablet. Autodesk Graphic has functionalities somewhat similar to Adobe Illustrator – it is a vector illustrating software at its roots and it is relatively easy to use with practice. The thing I love most about this method is that I can rotate elements by the exact angles, as well as move shapes around by simply entering the x and y coordinates, which makes everything super precise. I find with Autodesk Graphic, I can create more complex designs because of this. Yes, this method does take some getting used to (and it takes quite a lot longer to create mandalas this way – it normally takes me a couple of hours, compared to 10 – 20 mins with Amaziograph), the end result is much better in my opinion.